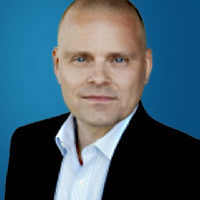 Casper joined Lundbeckfond Ventures when established, in late 2009. He is a member of the board of directors of Laboratoris Sanifit, Spero Therapeutics, Atox Bio, Biom’Up, and Dysis Medical. Previously he was a board member of Asante Solutions, Nexstim, and as employee representative at the boards of the Lundbeck Foundation and Lundbeckfond Invest A/S. Prior to joining Lundbeckfond Ventures, Casper most recently served as CEO of ilochip A/S, a venture backed company focused on development of diagnostic biochips. Before this, he spent eight years in different positions at H. Lundbeck A/S, including as a project manager and most recently in corporate business development and strategy, where he was responsible for negotiation of late stage licensing and M&A deals, and the related alliance management. Prior to his work at H. Lundbeck, Casper worked for Niels Clauson-Kaas A/S for five years where he was an R&D chemist and project manager and for Novo Nordisk A/S for three years where he was responsible for the development QA activities (CNS). Casper earned his MS in organic chemistry and an MBA, both at the Technical University of Denmark.